In London morning deals, benchmark oil contract Brent North Sea crude for delivery in January slumped to Dollars 69.13 per barrel, the lowest level since April. US West Texas Intermediate (WTI) crude oil futures were at $61.63 per barrel at 0125 GMT, down 4 cents from their last settlement. If the contract finishes lower on Friday, it will mark 10 consecutive down sessions, the longest losing streak for the commodity in about 34 years, according to data from Refinitiv. Oil prices have come under downward pressure from rising supplies, even though Iranian exports are expected to fall because of new US sanctions. 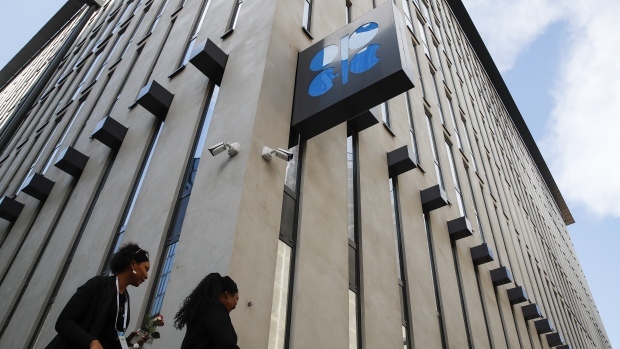 Over the past few months, OPEC has ratcheted up production amid calls from U.S. President Donald Trump to offset declines in Iranian shipments. "Painful months for oil consumers" are coming, Iranian oil minister Bijan Zanganeh said Thursday, state TV reported. Washington has granted exemptions to Iran's biggest buyers, allowing them to buy limited amounts of oil for at least another six months. "As OPEC exports continue to rise, inventories continue to build, which is putting downward pressure on oil prices", Bernstein said. Though the Iranian exports have declined, countries still have excess stock available. "A slowdown in the global economy remains the key downside risk to oil". Iraq, the Organization of Petroleum Exporting Countries' second biggest producer after Saudi Arabia, has largely rebuilt its energy industry after decades of conflict and sanctions, and has announced ambitious plans to keep expanding its output capacity.